On a frigid late January afternoon, dozens of teens crowd into the Martin Luther King Center on Indianapolis’ near north side. The already-popular community center is getting an upgrade, in the form of a Best Buy Teen Tech Center. 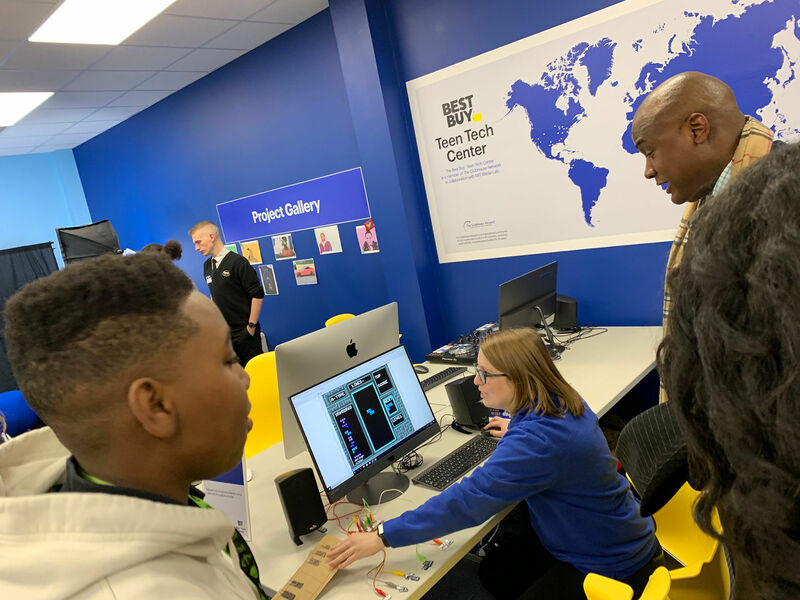 Presented by Klipsch®, the Best Buy Teen Tech Center in Indianapolis is part of a nationwide movement to provide new educational opportunities in underserved communities. Teens and young adults now have access to educational programs on music and video production, photography, digital design, robotics, and more with state-of-the-art audio equipment from Klipsch and other manufacturers. “It’s important and urgent that we prepare teens for this tech-focused world that is ahead of them so they can be successful in their future careers,” says Klipsch Audio CEO T. Paul Jacobs. Jacobs was on-hand for this week’s ribbon-cutting ceremony at the updated facility, which touts a host of premium Klipsch products, including the ProMedia 2.1 Computer Speakers, R-51 Powered Monitors, R-120SW Subwoofers, and Reference Over-Ear headphones. “We first heard of the Best Buy Teen Tech Centers last year and had the opportunity to visit,” Jacobs explained. “While there, we met a 15-year-old young man whose father had been arrested and sent to prison when he was only seven years old. He started stealing and getting into trouble to help his mom support his younger siblings until he found the tech center. 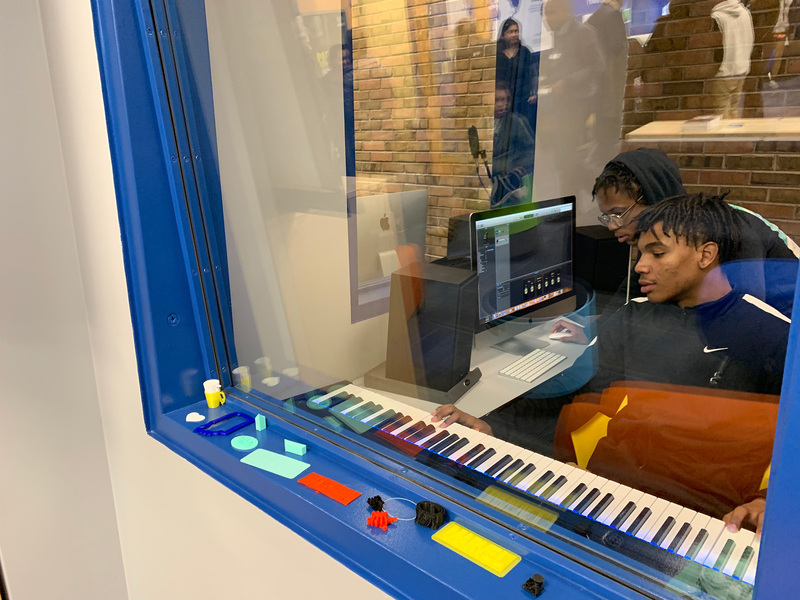 Now, he’s telling his stories through filmmaking and music and wants to turn his new passion into a career.” Jacobs says helping fund the Best Buy Teen Tech Center is Klipsch continuing to show its commitment to Indianapolis. “Our goal is for local kids in the community to become inspired by and emotionally connected to the latest emerging technologies and get the training they’ll need to succeed in their future careers,” Jacobs says. The Martin Luther King Center offers programs for all ages, including free after-school educational opportunities. By 2020, Best Buy plans to have more than 60 Teen Tech Centers in the United States, Canada, and Mexico, with a goal of reaching more than one million teens annually.